Really an awesome contribution to this forum. Thanks so much for providing it! Having never driven in an m3 with aftermarket suspension, how is it that all the folks going with stiffer front springs (and not proportional stiffer rear springs) such as 400/500 or 500/500 not feel the pitching? This is the first time I believe anyone's recommended going with something like 350/700 for the tc kline SA/DA setup. Would love to hear some real-world experience by anyone here, to back up the theory. I went through the calculation, feeling like I was back in high school geometry. I did this by setting the density equations of the two bars equal to each other and pulling the weights from realoem-- so if either of those assumptions is incorrect, the result is incorrect. Last edited by Obioban; Tue, Sep-18-2018 at 03:21:01 PM. Most of the easy weight savings on the car tend to be on the rear (e.g. battery, muffler, stereo stuff, CSL trunk, back seat delete, tool kit removal). Moving the weight distribution forward very quickly alters the frequency ratio. My guess is that many of the people that have gone with stiffer suspension setups have also shifted their weight distribution forwards. CSL front is 30.8mm but "hollow" (how hollow unknown). CSL rear is 22.5mm solid, but isn't changes shape a bit depending on location. My assumption is that it acts, on average, like a 22.5mm bar. Yes. EricSMG posted a review of them a while back. I can add the CSL info as a separate line. Will plan to do that in a few days / as I'm able. Yes, I think the approximation to nearest millimeter is accurate enough. along with his review on the Rev 2 I later did with his feedback from Rev1. I will be contacting Shaikh soon to tweak my rears a bit Car is fabulous with stock springs and OE 18" PSS tires. Very, very good. The whole thread has a lot of useful content, dyno graphs, Q&A, so if you're interested in the shock tuning side of things, it's worth checking. For prices on FCM Elite services watch this video! the dilemma i have going on in my head is that this flat ride concept is sound. makes sense. however, any time we talk about spring rates for the e46 m3 to be driven in anger, the 100 lb/in split fr / rr is used (eg 500/600, 700/800 etc). any way you cut it, this won't achieve flat ride. what's the story there? Right, I understand there's often a set of spring rates presented for many cars that are 'default' or 'accepted.' I'm not positive why this often happens, but I have a few hypotheses. Many people look to springs first to get roll stiffness which is a reasonable idea. Except with our MacPherson strut-based front suspensions that have very poor camber gain, you need a LOT of sway bar to keep the car from rolling the tires over. You need a reasonable amount of spring rate for good control of dive and squat, but I'm going to make the case that our BMWs use (and need) the sway bars for the majority of total roll stiffness to keep the tires flat in cornering (along with camber plates, alignment settings, etc.). 'Total roll stiffness' (henceforth called 'TRS') is 3002 lb-ft/deg for the E46 M3 coupe OE suspension. The bounce frequencies are 1.28 Hz front and 1.50 Hz rear which gives Flat Ride. FRC % is about 75%. 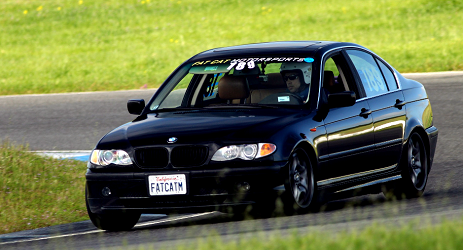 The factory 26mm front sway on the E46 M3 contributes 63% of the TRS of the car! That's HUGE! The factory 18 mm rear bar contributes 9% of TRS. The front springs contribute 11% and the rear springs 16%. You can see the factory rear springs are providing MORE roll stiffness than the front. In terms of TRS, the springs are offering about 25% of total with the front bar 64% and the rear bar ~9%. So what happens if you increase the spring rates? How much more do the springs contribute to TRS? Keep in mind that we also want to ensure a neutral / throttle-friendly handling balance. From experience, I'm going to say about 75% FRC is neutral, which is about what the factory E46 M3 suspension has. Let's see how the frequencies, FRC, TRS change and also what might happen once we emphasize a proportionately higher front spring rate vs. rear spring rate. Now say you're designing a more race-oriented setup, and you go to 600 lb/in front and 800 lb/in springs vs. the factory 155 lb/in and 380 lb/in. For now you keep the OE sways. Your bounce frequencies go from 1.28 Hz front / 1.50 Hz rear (FLAT RIDE) to 2.52 Hz front / 2.18 Hz rear (PITCH). Obviously these are much more 'race-tuned' springs as anything above 2.0 Hz and definitely above 2.2 Hz is quite stiffly sprung. The FRC % (front roll couple %) goes down to 72%, so more toward oversteer. Remember, FRC % is a measure of the handling balance: higher FRC means more understeer, lower FRC means more oversteer. The TRS goes up from 3002 lb-ft/deg on the OE suspension to 4528 lb-ft/deg with OE sways and 600/800 springs. You've got about 50% more roll stiffness than you did before, which is a big increase. Though FRC has gone lower by about 3% which is noticeable so you might need to make other changes to keep the car neutral. Front springs % of ~30% TRS contribution from the front springs and 23% from the rear springs. That's with the OE front and rear bar. Assuming you're using the STOCK FRONT BAR (and how many race setups do that?) the front bar is STILL contributing 1906 lb-ft/deg of roll stiffness, or 42% of the total. That's still MORE than the new 600 lb/in spring rates! So even with your awesome, stiffer front springs, the front bar is STILL DOING MORE WORK! As it NEEDS to since we have to control the majority of body roll with the front bar, not with the front springs. As we've already established when going to 600 /800 springs with OE sways, the FRC % has gone lower. The car might oversteer too much, or you might need more overall stiffness so increase the front bar (maybe rear too) is the next step. Let's say you get a 30mm front bar and keep the stock rear bar - what happens? Rear springs % of TRS = 17% (also went down). Now, with the bigger front bar, you have a setup that's more friendly toward racing and using the throttle mid-apex as a racer wants / needs to. You can see that to get a neutral / race-oriented FRC %, you will always end up with a much higher contribution from the front bar than the front springs. I submit there is more benefit to running a lower front spring rate (aiming for a front bounce frequency of around 2.2-2.3 Hz as a starting point) and a high-enough rear spring rate to provide some Flat Ride (say 2.3-2.4 Hz). Whenever possible, I like to see my race car setups not higher than 2.4 Hz. You can still make the cars put power down well - this is where shock tuning plays a big part, along with other choices like alignment, ride height, differential tuning, etc. Aero does demand a measure of additional attention to stiffness, but I've successfully utilized Flat Ride spring rate tuning on many production-based race cars with front splitter / rear wing / diffuser / side skirts / etc. So looking back, with the 600 lb/in front springs giving ~2.5 Hz front bounce frequency and rear at ~2.2 Hz you've majorly reduced squat and dive at the front end. However, you've also introduced some new problems that most people aren't even aware of. Is this really the 'best route' to take? First, with that high of a front frequency you're likely to start exciting the tire sidewall which will oscillate (sometimes subtly, sometimes more noticeably). You're in a range where the suspension can start to 'over-drive' the tires. Second, you now have pitch which introduces MORE secondary and tertiary oscillations between front and rear that compromise tire grip. Those extra pitching oscillations occur at different amplitudes and are subtly compromising the maximum available grip. How much compromise depends on how far toward pitch the suspension is set up, how badly balanced the dampers are (usually too much rebound but sometimes too much compression), how rough the road / track surface is, and if there's dirt / moisture present. Once pitch is present, it's like trying to balance champagne glasses on the hood of a car with a bad engine misfire. It's impossible and the idea makes you nervous. If you're nervous, the tires are nervous. You'll start to notice a 'busyness' in the suspension even on pretty smooth roads. Dive and squat control is important, but as you get around 2.2 Hz, adding more spring rate simply for 'squat control' isn't the right answer, unless you have Formula 1 levels of aero where aero becomes the GOVERNING FACTOR in how you produce grip. I think some people look at racing series like F1 and think 'I need to make my production car that stiff!' You don't. So, as my examples above illustrate, the idea you need to upgrade both sway bars at the same time doesn't always make sense. Some FWD guys know they don't necessarily need / want a bigger front bar, just a bigger rear. But with higher-HP RWD cars like the BMW, there are still many 'matched' sway bar sets advertised and sold. There usually isn't a lot of guidance about what spring rates to use with a given set of sways, or why you wouldn't use a bigger rear bar than factory. So if you do put on a bigger front AND rear bar you would need to make the front springs stiffer so the car isn't too oversteer-biased. Another benefit of keeping the rear bar small and instead using more rear spring is you get much better on-throttle power delivery, especially on uneven surface since the smaller (usually OE) rear bar has less coupling between driven tires. You get closer to a truly independent rear suspension instead of decreasing that independence with a bigger bar (that starts to make the rear more like a solid axle). Sometimes just disconnecting the rear bar is the right choice - that can depend on the driver, track design, or weather conditions. If you focused on all the reasons to design Flat Ride into your racing suspension, you'll end up introducing fewer non-idealities and problems to chase. You pick spring rates for your intended bump travel / ride height, then size your front and rear bars to be big enough to give you the correct FRC % that keep the car neutral. Often you'll need much less rear bar increase if any. Some of you may not like to hear about other cars, but Corvettes and Porsche 911s are tuned this way, including most of their aftermarket / racing spring sets. Clearly, the OE M3 suspension is tuned this way as well! All these examples provide Flat Ride, and the cars use a rather big front bar and relatively small rear bar (in terms of wheel rate). Adding more aero simply means you need more total stiffness and special considerations for damper tuning. Having aero doesn't mean you have to throw Flat Ride out the window and your suspension's total grip capability will suffer to the extent that you deviate from Flat Ride. All of this is to provide numbers to my point that the springs on our cars really aren't contributing hugely to the total roll stiffness. It's more beneficial to keep the platform 'inherently stable' via Flat Ride than to induce 'inherent instability' with pitch. but many people feel better with over-springing the front without considering how BIG a contribution the front bar makes to the overall roll stiffness. This ended up being a lot longer than I anticipated, and I killed the browser window accidentally 75% of the way through. For better or worse, this is my long-winded answer with numbers to back up my assertions. I trust it'll be useful and am very happy to continue these conversations. So I guess these ideas really do work in the real world... ! There's a small part you got wrong though. A race M3 should have a higher frequency up front unless you're on a really bumpy track. It allows for faster response on corner entry, less ride height variation up front(especially with front aero which is more pitch sensitive) and gives better rear wheel traction for corner exit. It does come with a less comfortable ride penalty though. The reason street cars have a higher rear frequency is because it makes the ride more comfortable when going over bumps by allowing the front and rear suspension to absorb the bump in unison. I understand your opinion and your point about aero. Do you know how much your sway bar is contributing to the total roll stiffness? It's far more than the front springs. Squat / dive are important but they are given too much primacy in the context of all the decisions that go into creating a totally optimized race-winning suspension. A production BMW with aero =/= Formula 1, so hugely biasing the ride frequencies toward the front will only work until you encounter someone with a better-optimized setup who will generate more grip from the same tires. I've provided an explanation for my thought process, and there are details to shock tuning / bump stops / etc. that are proprietary to my customers and their racing setup which also make it easier to run Flat Ride. But these ideas work, in practice. See my post above this with comments from NASA Nat'l Champ Anthony Z and his crew who did very well in their aero-equipped race E36 M3s and E46 M3. I believe your comments about 'wrong' and 'should' are incorrect and unjustified. I do understand where you're coming from, as I used to have similar ideas before I investigated more on my own and came to understand some principles (like the induced oscillations crated by pitch) that don't get discussed widely or at all in most racing circles. This US Naval Research lab study provides a reference for the negative impact that pitch has on the user. I don't believe they directly studied cornering traction, but it's no stretch to imagine the tires being driven (and grip reduced) by the same oscillations that increase contact patch load variation. I've felt it, as have my customers. In summary, while I appreciate the ideas you're sharing and am open to further discussion with you, I would ask you to be careful of making assumptions or saying someone is 'wrong' without compelling factual evidence. Your opinion (or those of your racing friends) does not invalidate years of experience (mine and others) and a sound theoretical basis for to contextualize that experience. Let's discuss facts and ideas without shaming or accusations, yes? I've noted that TC Kline often recommends 400/700. If you look at that for a stock-weight E36 M3, the frequencies are about 1.9 Hz front, 2.1 Hz rear which is about 10% Flat Ride. On an E46 M3 (with slightly higher front motion ratio) 400/700 would give about 2.06 Hz front, 2.04 Hz rear so very slightly toward pitch. That's less ideal. It wouldn't feel great (and could actually 'heave' as a unit up and down in certain conditions which isn't good) but being a reasonable stiff setup it would ride okay in fairly smooth conditions. The amount of damping present also acts as a 'dynamic' influence to bounce frequency. The degree of influence depends on what shock velocities are being excited and how stiff the damper is. If you're getting bump stop contact then that's also contributing to the total spring rate. 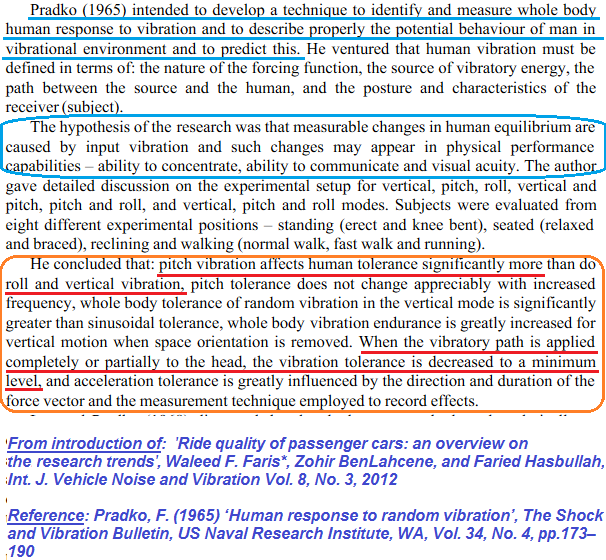 There are various factors that can influence the perception of pitch or Flat Ride. I'm not sure many of my BMW customers are on this forum to chime in, but they're out there. Perhaps others have experimented with the spring relationship as I'm describing. It's not really novel since the factory (and other manufacturers of sports cars) utilizes this behavior. But it's not widely discussed which makes it seem more unusual. In my experience when I went with flat ride values, the pitching on the street was a bit more comfortable but on the track the car had so much oversteer that each corner was a severe challenge and I could not trail brake AT ALL without spinning. So that's why you see race guys with softer rear springs than flat ride. Softer rears regain that important rear traction. 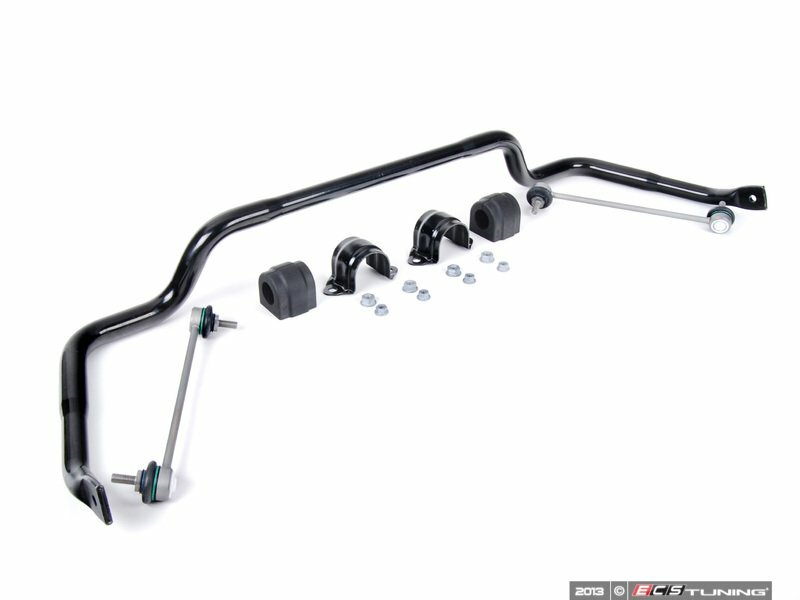 If you want the best of both worlds then you could try a stiffer front antiroll bar and soft or removed rear bar. Only one way to find out! All times are GMT. The time now is 08:48:37 PM.